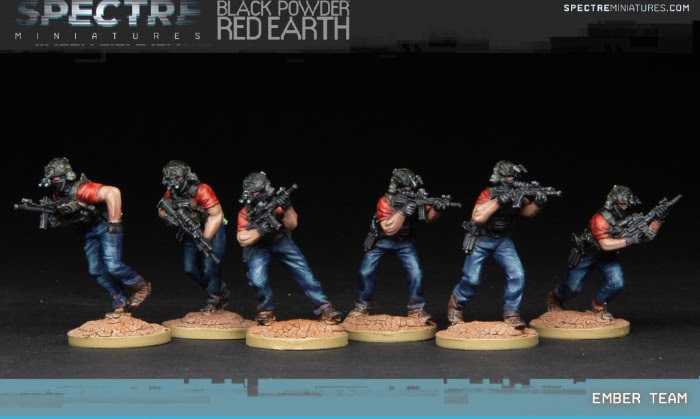 "This squad of Cold Harbor Assaulters are based on the Ember Quick Reaction Forces (QRF) teams depicted in the graphic novel series Black Powder Red Earth – Yemen . Cold Harbor is a fictional Private Military Company that employs elite ex-special operations forces soldiers in the world of Black Powder Red Earth . They are armed with custom Cold Harbor Special Projects Group carbines with suppressors, lasers, illuminators and a range of red-dot and magnified sights, as well as custom Glock pistols and wear assault gear over civilian clothes."